People don’t ever say that college was easy. Sure, it might have been fun, adventurous, the be-all-end-all time of their lives, but it is rarely, if ever, described as easy. College is the time to explore, chart new courses mentally and emotionally, and learn at a more advanced level than you ever have before. At the end of college, you leave as a mature person, capable of joining society confidently with the necessary tools to succeed. Armed with a piece of thick card stock paper that proves your success as a student of higher education, you’re ready to tackle the world. Your destiny from here on out is yours to determine. Maybe you’ll join the workforce, or take some time to traverse the globe. For some, this is the time to take one of the greatest risks of all. Starting your own business. Let’s take a step back. Before you even think about starting a business, graduating, or being a real, functioning, productive human of society there’s quite a few steps to take first. It all begins with an idea. As college students we know how many ideas are proposed in Stetson East, International Village, Shillman and everywhere in between. They can be simple, like creating a better way to manage your time, or as complicated as solving global crises. Either way, ideas are the basis of innovation. They serve to keep us thinking, moving forward, and constantly improving the way we live our lives. By forming a single idea, we begin to enact actual change and leave our mark on our communities, countries, and even the world. All of this doesn’t just happen overnight. It takes months, sometimes years to develop an idea into a full business. Just like college, it won’t be easy. Anything worth doing is never easy. Allow us to introduce ourselves. We are the directors of the Husky Startup Challenge, the flagship program of the Entrepreneur’s Club at Northeastern. The Husky Startup Challenge is a six-week bootcamp intensive process that is designed to take students with ideas, and turn them into students with businesses. Through our curriculum, student ventures learn the fundamentals of starting a company, from writing a value proposition, to developing a go-to-market strategy. 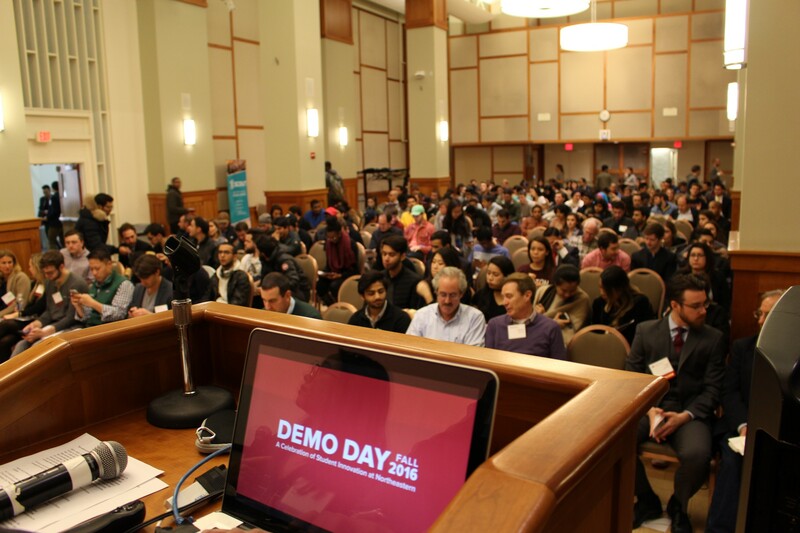 At the end of the semester, the Husky Startup Challenge ventures pitch their business on the Demo Day stage to a panel of judges, and an audience of 300+ filled with their peers, professors, and supporters. It’s a daunting process, and an exciting, anxiety-provoking experience, the exact kind of emotions that entrepreneurs thrive on. The Husky Startup Challenge is the most fail-proof journey you could embark on in your college careers. If the thought of participating in the program has ever occurred to you, hone in on that motivation, and channel it into action. Eliminate any doubts or hesitations you have about public speaking or about the quality of your idea because you will thank yourself for doing the Husky Startup Challenge. If you succumb to your fears and chose not to take part, you will regret missing out on this opportunity. Let’s face it, you are a student. What do you have to lose? There is no time like the present. Sure, you have other obligations and demands on your time but if anything Husky Startup Challenge improves your time management skills, along with your interpersonal and public skills. Take the first step into launching your entrepreneurial careers. So, what are you waiting for?